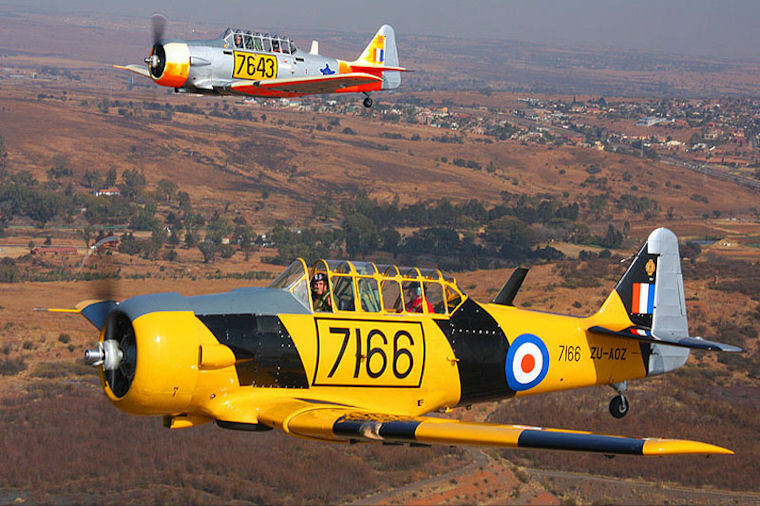 The Harvard Club of South Africa was officially launched in 1990 to coincide with the 50th anniversary celebrations of this majestic aircraft at Central Flying School at Dunnottar. 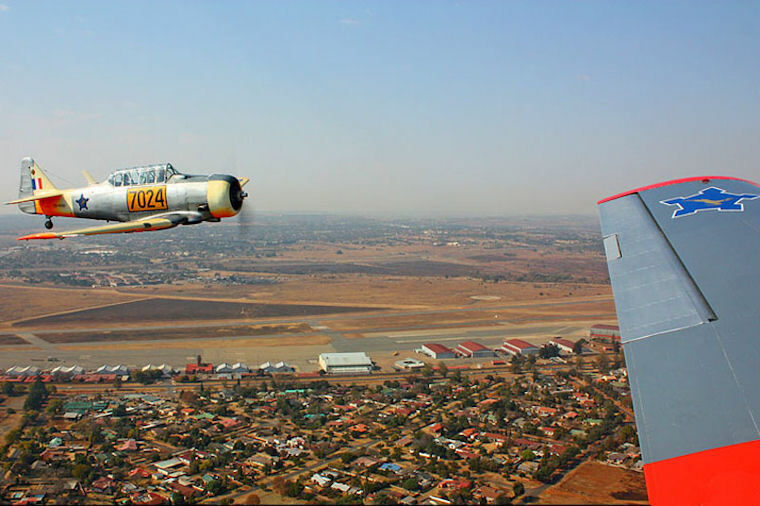 The idea was however nurtured two years before by the members of The South African Air Force Association (SAAFA). 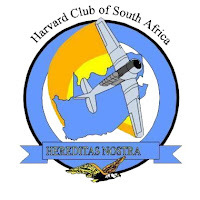 The plan was to use the Club to recruit members for SAAFA by getting interested parties together using their common involvement with the North American Harvard. 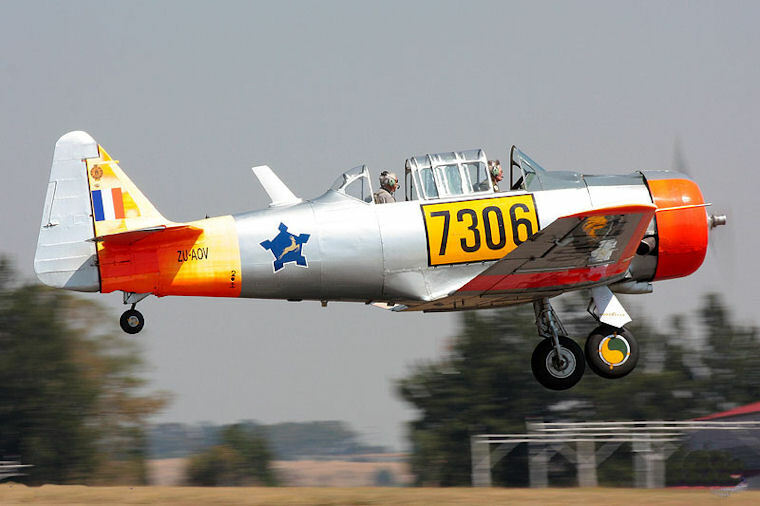 The Harvards were phased out in 1995 and were replaced by the Pilatus PC-7 Astra as the schoolmaster for the SAAF. During the change of guard Central Flying School was moved to AFB Langebaanweg in Cape Town. 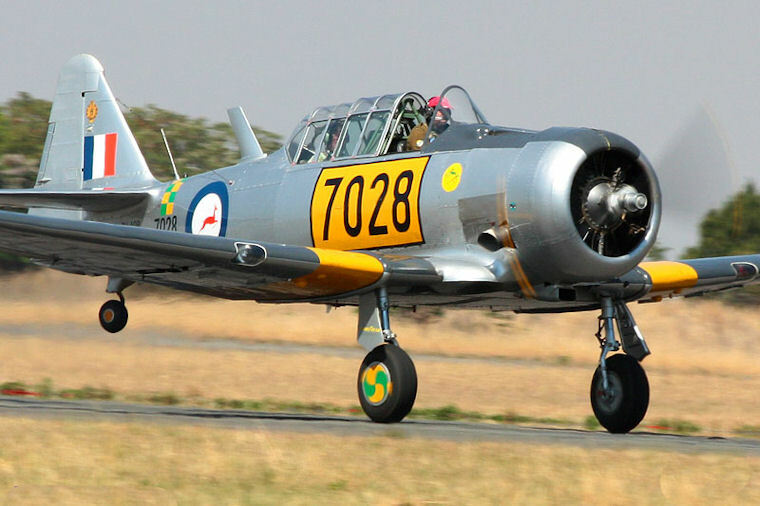 The interest in the SAAF Harvard's from international collectors was overwhelming and it was feared that all the aircraft would leave our shores. 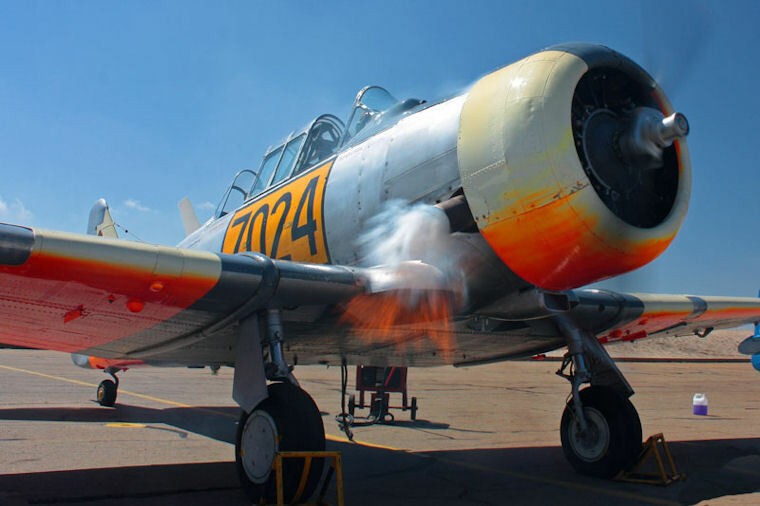 In order to preserve this section of South African Aviation Heritage negotiations were entered into with the Department of Defense and SAAF senior command. 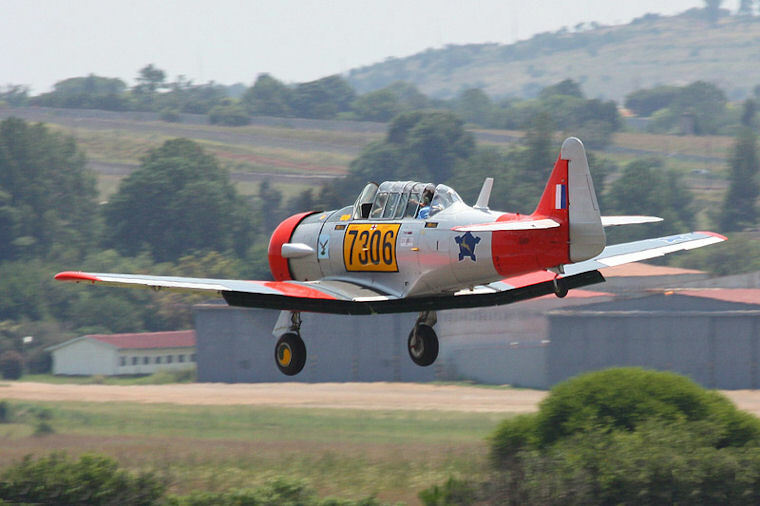 The then Chief of the Airforce Lt. Gen James Kriel threw his weight behind the process and had the original request for four aircraft increased to ten. 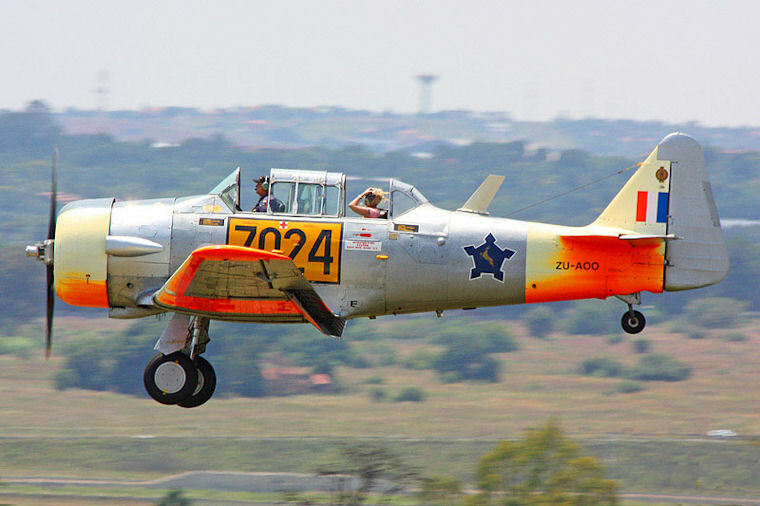 The lobbying then commenced and the Deputy Minister of Defence , Wynand Breytenbach who happened to be an ex SAAF pilot who used to fly Harvards took the proposal to the highest reaches of government at the time. Approval was obtained in 1992 and between then and 1993 the Club was issued with range of Tail numbers that would later be available. Finance for the preservation and operation of these aircraft was a frightening thought. The members of the Club were approached for financial support and twenty-one members came forward and each donated R1000-00. With the funding taken care of, ten aircraft from the list made available by the SAAF were chosen by WO1 AJ van der Walt and other members. 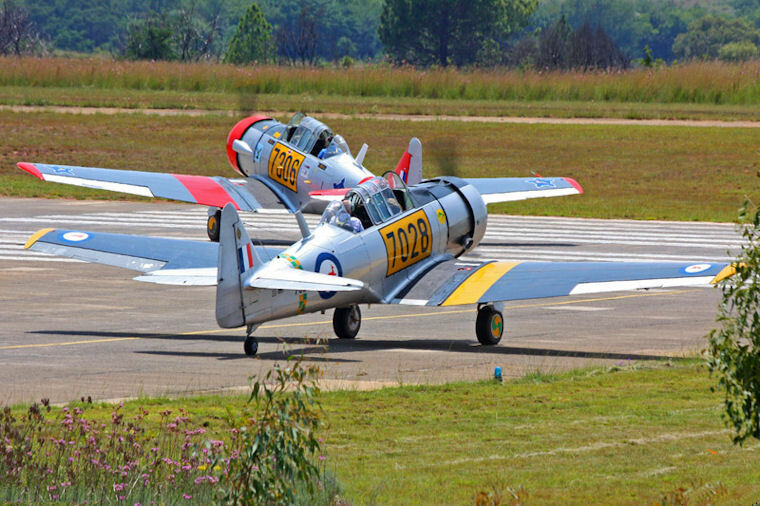 The CAF officially handed over the first three Harvards to the chairman at a function held at AFB Swartkops early in 1994, these were 7028, 7643 and 7152. The Aircraft were immediately flown to SAA Technical at the then Jan Smuts Airport to be inspected and ultimately registered on the civilian aircraft register. They were given the first of eleven registrations that were reserved for the Harvard Club and these ranged from ZU-AOO to ZU-AOZ. Before the end of 1995 the remaining seven aircraft had been delivered to the Club and were also civilian registered. 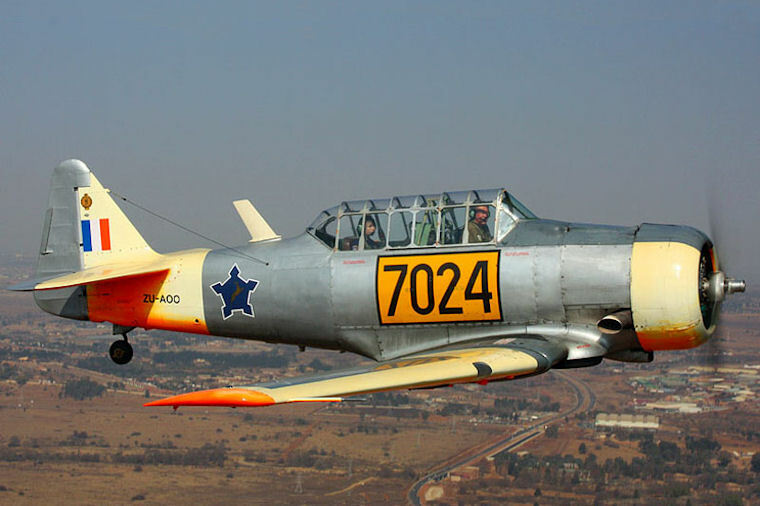 An intensive research project was undertaken by Col Tony Smit, WO1 AJ van der Walt, Reg Rivers and AW de Klerk to trace and record the history of each Aircraft. These reports were forwarded to the National Museum Council, and the request was made that each aircraft become a certified National Heritage Item. The application was passed on the grounds that they were of major importance in the preservation of Aviation Heritage. The fact that they were now national heritage items insured that they could never leave South Africa. The Club now had Aircraft but didn't have a home. They proceeded to lease a hangar at the Springs Airfield where they would commence operations which included introductory flights for the public. It was decided that one of the aircraft ZU-AOR original tail number 7059 would be painted in the official SAAF 75 colours to celebrate the 75th Anniversary of the SAAF. This was a gesture of appreciation for the assistance received in securing the aircraft. The Club was moved to AFB Swartkops in 2000 and they are still located there to this day. 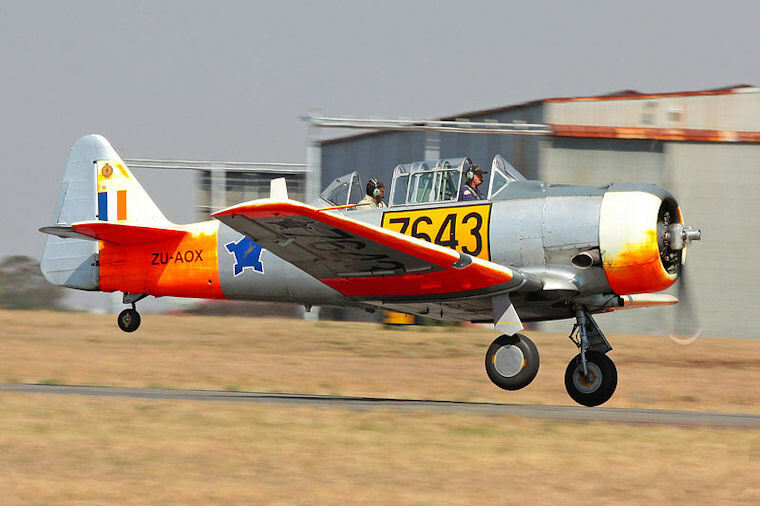 In the past few years aircraft have been repainted in different schemes used by the SAAF throughout its history of flying harvards. 7166 was painted in the scheme used for towing an Anti-Aircraft target. This is a very visible black and yellow chevron. 7028 was also repainted the colours used by 3 squadron. On the 27th September 1996 tragedy befell the Club when aircraft tail no. 7156 crashed in Pietersburg where both pilot and passenger were unfortunately killed. A further two aircraft were involved in forced landings. 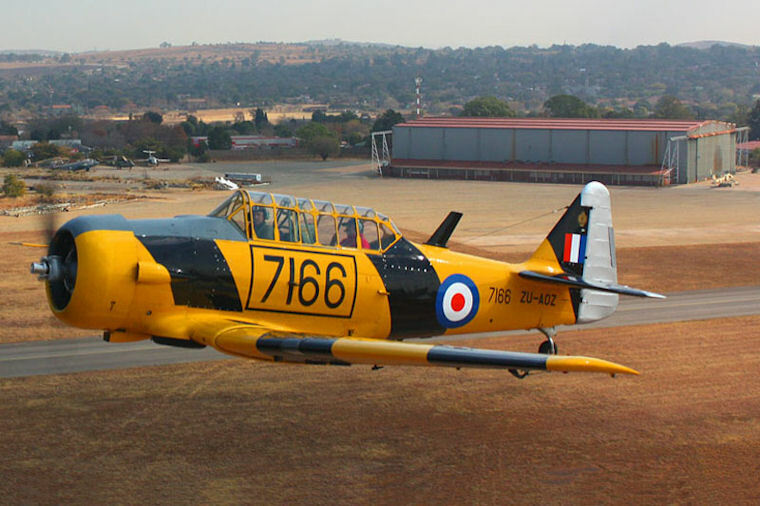 In 2005 aircraft no 7152 had to land on the golf course in Stellenbosch due to an engine fire and she is currently at the Harvard hanger awaiting repair. In 2007 no. 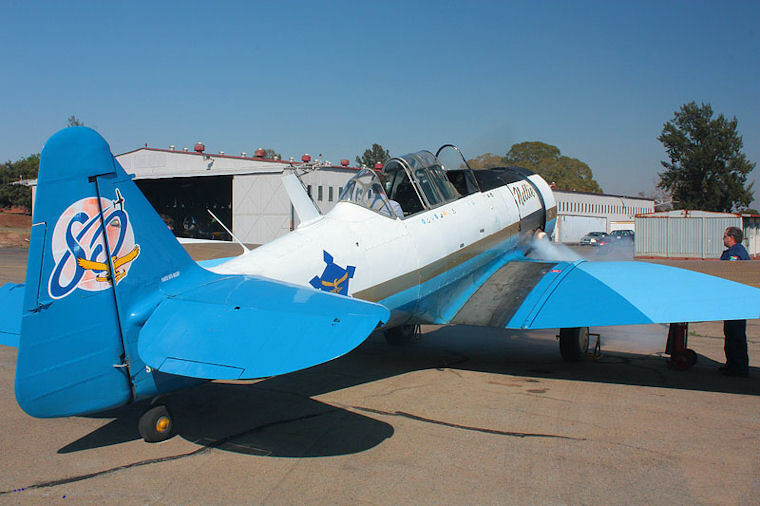 7592 had engine failure at fly-inn airfield near Rietvlei Dam and was forced to land. In the process she was badly damaged when she hit a tree. Thankfully in both incidents the occupants walk away without serious injuries. The Harvard Club currently operate six aircraft, 7166, 7028, 7643,7024, 7306, and 7059. They rely on the funds generated by introductory flights and formation fly pasts to keep this piece of our heritage afloat. The club has a very active program to promote aviation awareness amongst the youth and many young ground crew have proceeded to successful careers in aviation. The Harvard Club ground crew are often requested to assist at airshows around the country as marshalls and this is a testament to the quality of training they receive.